Mix flour, soft butter & cinnamon in a bowl & start kneading with your hand. Add water while still kneading until the dough is smooth & homogeneous but not sticky. Peal all apples & remove seeds. Cut 3 apples in dices, put in a small pot with little water, cover & boil for 15 minutes on small heat with cinnamon. Turn off the heat & leave to cool a little then reduce to jelly with a hand mixer. Slice the rest of your apples in half moon shape. Heat the oven 180 deg.C. Roll out the dough in a 30 cm diameter plate, prick with a fork to avoid the dough to bubble. Slide in the heated oven approximately 15 minutes until slightly golden. 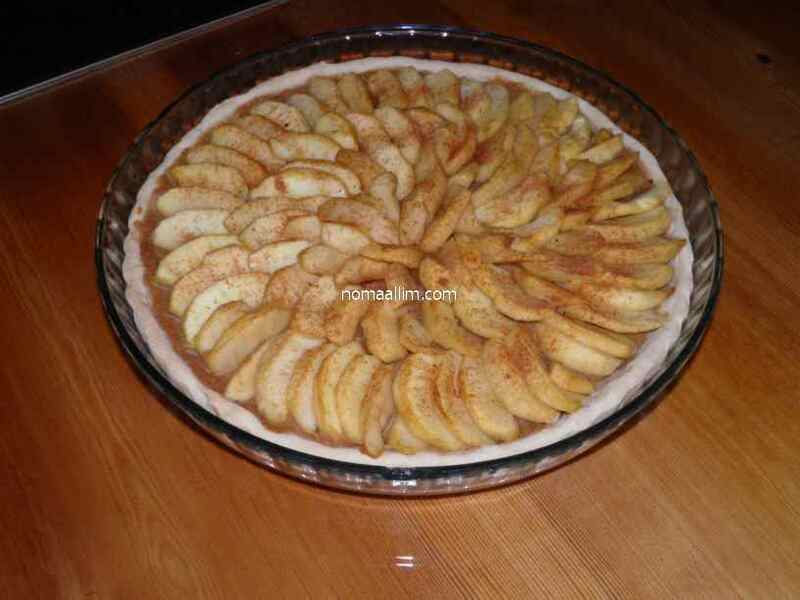 Pour apple sauce or jelly on top of your dough & spread it evenly. 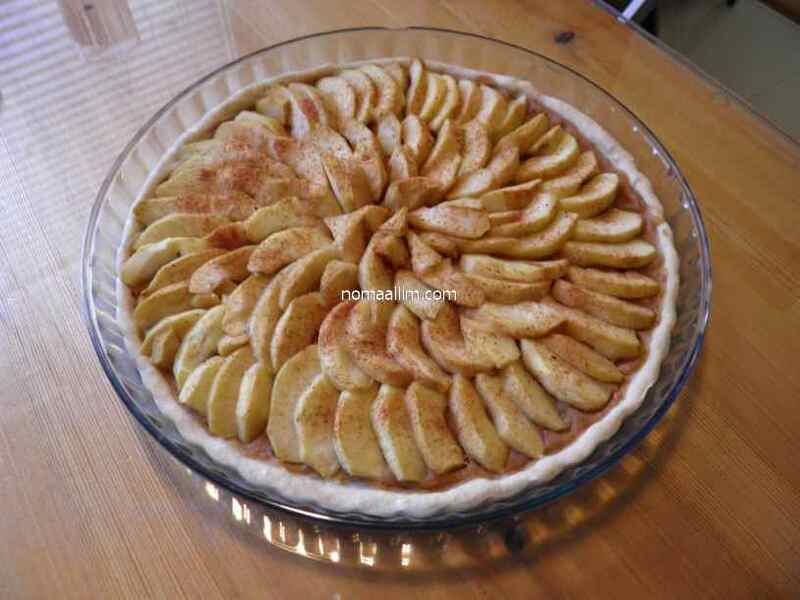 Add sliced apples in a decorative pattern. 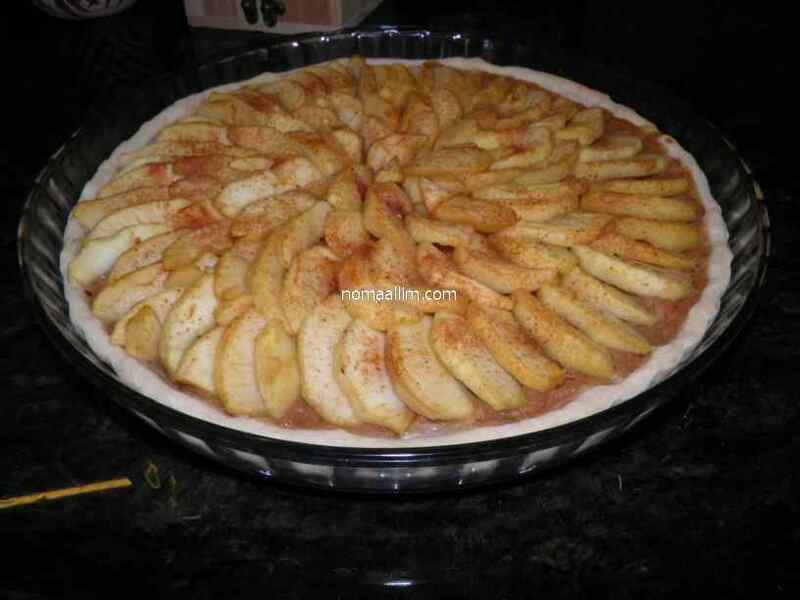 Spread cinnamon powder on top, then slide into the oven for final cooking for about 15 minutes or until dough is golden brown & apples slightly cooked.